27.11.18 07:01;Account;Receive;Received Payment 3.6 USD from account U17633505 to account U1294000. Batch: 237410889. Memo: API Payment. Withdraw to all-hyips.info from 7days.capital. 26.11.18 22:01;Account;Receive;Received Payment 3.3 USD from account U17633505 to account U1294000. Batch: 237384556. Memo: API Payment. Withdraw to all-hyips.info from 7days.capital. 29.11.18 05:50;Account;Receive;Received Payment 3.8 USD from account U17633505 to account U1294000. Batch: 237631875. Memo: API Payment. Withdraw to all-hyips.info from 7days.capital. 28.11.18 17:48;Account;Receive;Received Payment 1.32 USD from account U17633505 to account U1294000. Batch: 237591957. Memo: API Payment. Withdraw to all-hyips.info from 7days.capital. 28.11.18 06:37;Account;Receive;Received Payment 3.8 USD from account U17633505 to account U1294000. Batch: 237523559. Memo: API Payment. Withdraw to all-hyips.info from 7days.capital. The amount of 1.9 USD has been deposited to your account. Accounts: U17633505->U2917300. Memo: API Payment. 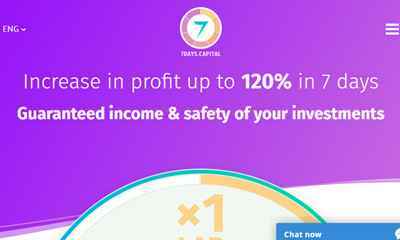 Withdraw to hyipregular from 7days.capital.. Date: 02:44 02.12.18. Batch: 238262047. 30.11.18 21:01;Account;Receive;Received Payment 3.8 USD from account U17633505 to account U1294000. Batch: 237815806. Memo: API Payment. Withdraw to all-hyips.info from 7days.capital. 30.11.18 10:27;Account;Receive;Received Payment 3.8 USD from account U17633505 to account U1294000. Batch: 237760500. Memo: API Payment. Withdraw to all-hyips.info from 7days.capital. 03.12.18 06:26;Account;Receive;Received Payment 3.8 USD from account U17633505 to account U1294000. Batch: 238366380. Memo: API Payment. Withdraw to all-hyips.info from 7days.capital. 02.12.18 05:15;Account;Receive;Received Payment 3.8 USD from account U17633505 to account U1294000. Batch: 238267409. Memo: API Payment. Withdraw to all-hyips.info from 7days.capital.